Blogs > Schools > How can edtech impact the education of those with cognitive deficit disorders? How can edtech impact the education of those with cognitive deficit disorders? Ever since cognitive deficit disorders such as ADHD became recognised, tools to assist those affected by these conditions have remained largely unchanged. Archaic methods like physical calendars, written reminders and verbal repetition have been the tools most commonly available to help children and adults gain a sense of routine and order. While families can do their utmost to carry on using these tools, in a school environment these become hugely impractical. Teachers at the vast majority of schools don’t have the capacity to refer to, and update, physical calendars, while verbal reminders are often forgotten, and can become frustrating in a hectic school environment. The inability to adhere to these limited tools can lead to confusion and frustration, resulting in the child being deemed ‘disruptive’ and leading to isolation or suspension, while they ‘calm down’. Fortunately, specifically designed technologies are finally catching up. While traditionally, teachers used to view technology in the classroom as an unnecessary distraction, companies are now creating tools that can be used to improve the lives of children affected by cognitive deficit disorders, giving them fair access to education, transforming the thinking around technology from a ‘nuisance’, into a vital classroom tool. One of the key benefits that assistive technology apps can bring to those affected by cognitive deficit disorders, is the fact that they collate all of the essential reminders that people come to rely on, bringing them into one place which can be accessed whenever and wherever. For example, if a child with ADHD is meant to go to football practice, they would typically see a written note about this in their calendar, while their parent might verbally remind them to take their kit as they leave the house. An app can put all of these details into one simple and straightforward reminder, such as a calendar alert that goes off on the child’s phone, smartwatch or tablet, along with an image, note and/or vibration, reminding them to take their kit. One of the key benefits that assistive technology apps can bring to those affected by cognitive deficit disorders, is the fact that they collate all of the essential reminders that people come to rely on. This streamlines the process, saves time for the child and reduces the stresses of everyday life. Additionally, the beauty of technology is that it can be personalised and adapted, answering the very unique and specific needs of the person with the cognitive deficit disorder, as well as their family, who are typically in charge of arranging reminders and establishing routine. Each reminder, note and schedule can be modified to suit the child’s preferences and learning methods, whether those are auditory, visual, sensory, or a combination of these elements. Another vital benefit that technology designed for those with ADHD has, can be seen in the classroom. A technological solution is incredibly discreet. 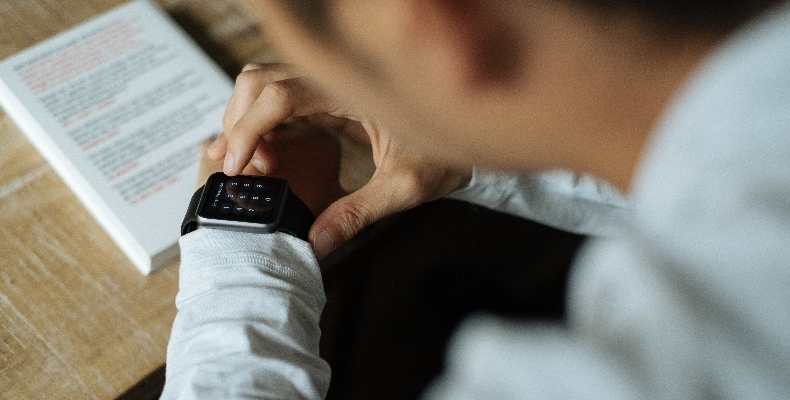 If a child with ADHD becomes distracted in a school environment, all they need to do is consult their smartwatch or phone in order to re-centre themselves. While this is indisputably useful in day-to-day school life, this discretion and ease becomes indispensable during major transitions, whether starting at a new school, entering a new phase of education or being in any unfamiliar environment. Even the smallest changes can cause a child with a cognitive deficit disorder to become distracted, meaning that they need a quick solution to help them readjust to the environment and continue studying. A failure to find such a solution can, unfortunately, result in stigma, alienation and isolation of the child from their peers. Subtle and unobtrusive technologies can prevent this from happening, encouraging children with cognitive deficit disorders to interact more, boosting their confidence and enabling them to form lasting friendships. A technological solution for cognitive deficit disorders means that the person’s routine and schedule is in theirs and their family’s hands. It prevents them from being classified as ‘disruptive’ by teachers, or ‘different’ by peers. It allows them to get the most out of their hobbies, interests, and mostly importantly, their education.